Renardo Gomez, with three of his children, has been unemployed since April and is afraid of getting evicted. He owes several family members payments of $50 to $100. 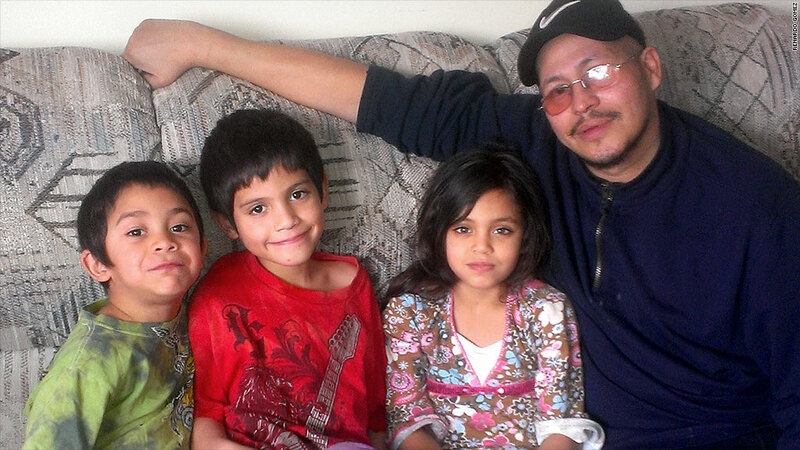 The borrowed money, along with food stamps, has helped feed his four kids. His unpaid cable bill has mounted to $400, his electricity bill $600. His landlord has let him postpone rent. But next month, he owes double the rent: $700. Gomez is among 2 million unemployed workers hoping Congress moves forward this week to renew federal jobless benefits for up to five months. Two weeks ago, a bipartisan group of Senators reached a deal, which is expected to pass the Senate this week. Five Republicans signed on to the $9 billion measure. However, its fate looks grim in the House. "I'm worried. ... What if I get evicted? What's going to happen?" said Gomez, 51, who worked as a facilities specialist for the Federal Emergency Management Agency in New York City until his contract ended last April. Gomez has been looking for jobs since. The deal would throw a financial lifeline to people in the same situation like Gomez who have been scrambling to get by since federal jobless benefits lapsed the week of December 28. When the recession-era program expired, it took away a safety net for 1.3 million long-term unemployed Americans who have been unable to find new work. The long-term unemployed now total about 2.1 million, including those who have run out of state unemployment benefits these past few months with nothing to turn to, according to the National Employment Law Project, an advocacy group. The Senate deal would fund federal unemployment benefits through May, and include back payments of missed unemployment checks since early January. Yet, House Speaker John Boehner has balked at the deal. 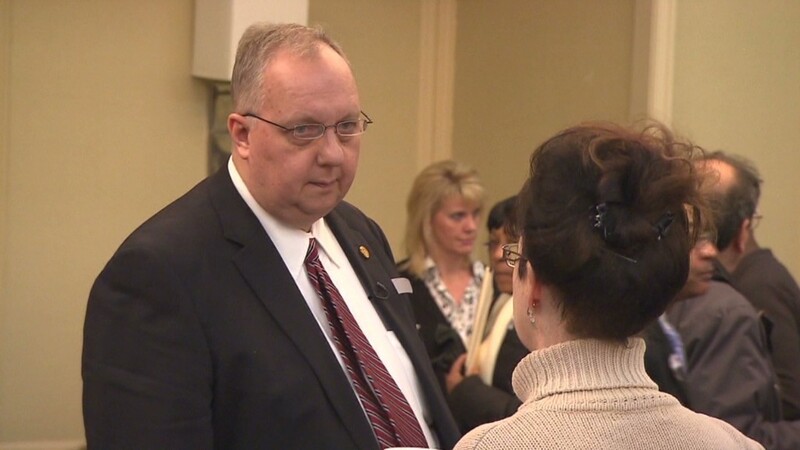 Last week he called the bill "essentially unworkable," because state administrators complained it would be tough to carry out in such a short period of time. The Senate deal would cost more than $9 billion. To avoid increasing federal deficits, the deal would be paid for by an accounting move that brings in higher corporate income taxes from companies that contribute less to pensions for a while. Republicans like the deal because it will also prevent millionaires from qualifying for benefits. It also requires people who have been unemployed for nine months to undergo a review of their job search strategy. "There are 2.1 million workers who should certainly be pleased, but they need to know they've got a long haul ahead of them," said Judith Conti, federal advocacy coordinator for the National Employment Law Project, an advocacy group for the unemployed in Washington. If Congress passes the bill and President Obama signs it into law, it could still take weeks to get programs up and running again, Conti warned. The unemployed would still be stuck making ends meet without benefits for a while, she said. Related: Will Obama's pledge get the unemployed back to work? Unemployment insurance benefits are generally administered by the states. However, back in June 2008, when the jobless rate started ticking up from under 5% to 5.6%, President George W. Bush signed the federal benefits program to help those whose state benefits had run out. The unemployment rate climbed to more than 10% at the height of the Great Recession in 2009, and the government extended or expanded the federal benefits 11 times since then, most recently in January 2013. Those who want to extend jobless benefits point to recent jobs reports that continue to show frustrated unemployed workers dropping out of the labor force. Gomez said he continues sending his resumé out each week. After his job ended in New York, he moved his family to Fitchburg, Mass., to be closer to his girlfriend. It's made it tougher get to interviews, because he lost his car when he couldn't afford car payments. He takes the bus. "I'd work at McDonalds. I really don't care. But nobody is hiring," he said. "I'm really trying."